I found the following poem in a pile of old journals and materials that I had in storage. I don’t exactly know when it was written, but I do know to whom. I wrote it as a present for my husband when we were still married, probably mid-way or toward the end of our thirteen year marriage. Reading this reminds me of those times when my heart was “hit with a painful light” and what it is like to love someone so much it “burns away the doubts and fears.” I miss loving that way, so completely. Are “grownups” ever able to trust enough to love the way we did when we were young and reckless? We grow cynical and cautious when we see too much of life and know what people are capable of doing to each other. It seemed significant somehow that the word Love is smudged on the parchment paper by what looks like it may have been a tear drop. I was sure when I wrote this poem that the last line was true, that “always, always, the love remains.” It didn’t feel that way to either of us at the end. Yet I don’t think it really went away, either. Not for me, at least. I still feel it when I look back, like an ache in my throat. Maybe not missing him exactly, but missing loving him. The doubts and fears that mark my days. But always, always, the love remains. 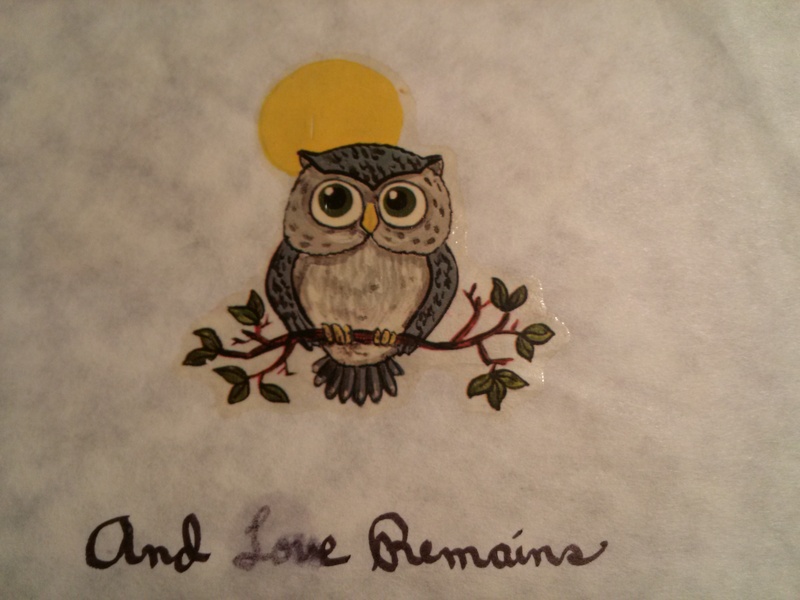 This entry was posted in Musings, The Author and tagged Love, Love lost, Poetry by dborys. Bookmark the permalink. Wounded soldiers probably never completely heal, but many of them go on to become brilliant warriors, recognizing and defending the rights of others, from their pain. I really enjoyed this post, Debra. Thank you, M.J. And I completely agree. 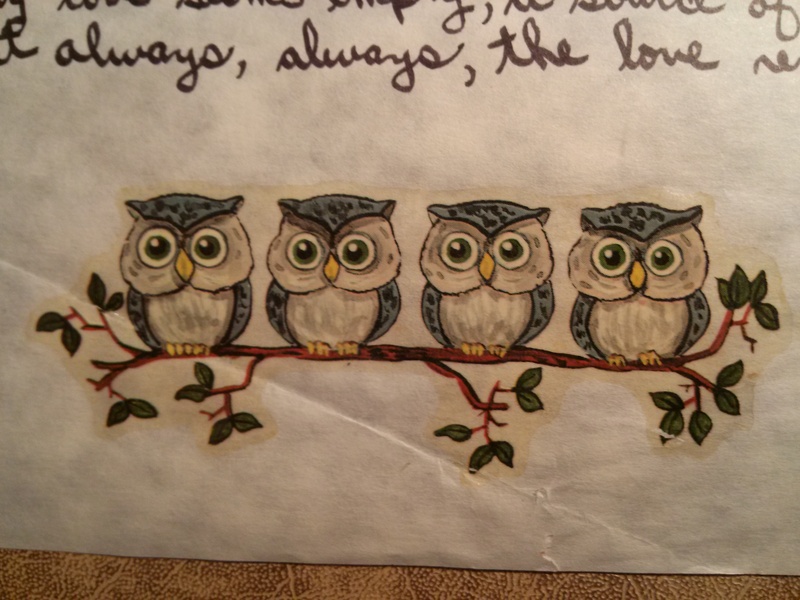 Debra this poem is so sweet, as are the little owls perched on the page. Happy New Year. Thank you, Leah. I seldom write poetry because to me it is the hardest form of written communication…each word needs to be chosen so carefully since you use fewer of them to make your point. Novels seem much easier to me, but sometimes only a poem can express your thought.